Wouldn't you like to be able to save on your energy bills and keep your home comfortable, no matter your climate? If this is the case, you can trust in Intex Windows & Doors for high quality types of residential and commercial products including doors, windows, and custom hardware that can be added onto the fixtures for easier use or for stylistic purposes. No matter the style of windows or doors that you select, you know that you can depend on Intex to offer a superior customer service and line of products that you just may not be able to find from many other companies in the area. We are a major distributor for some of the top brands around, including Milgard and Jeld-Wen. That is how you can know for sure that everything that comes from our catalog is going to be finely crafted and made to last for a long time. Consider your options carefully when you shop for the fixtures that you need for your house or place of business, as they can be costly and you do not want to end up with products that do not suit your tastes after they have already been installed. A safe bet for people who like a clean design and strong materials are Milgard Triple Glass Windows. There are several of styles available, making it possible to have choices for a series that will perfectly fit your needs. When you want to buy Energy Saving Los Angeles fixtures, you have come to the right place. Intex Windows & Doors has a grand assortment from which you can take your pick. There are numerous options, and what these windows have in common is that they have been designed with the optimal energy use in mind. You will never have to worry about your heat or air getting out, and you can be protecting from the elements, no matter what the climate is like where you live. This type of performance is only one of the reasons why Intex is at the top of the industry in the Los Angeles area. We love to give our customers exactly what they want, and a big part of that is a personalized customer service approach to help you to make the often tough decision on what you should purchase from our selection. 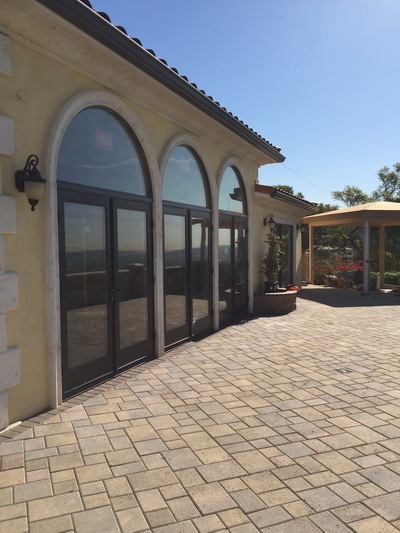 If you are looking for something in particular that you do not see listed in our catalog, you are welcome to give us a call and ask about customization work that can be done on your doors and windows. We will always do our best to accommodate any requests from our customers, no matter how big or small the project. Intex technicians even can assist with grand scale projects, such as outfitting your commercial building with stylish and practical fixtures to give you that welcoming yet classic look to impress people and bring in new customers. You can save hundreds of dollars a year off of your energy bills when you switch to having Energy Saving Los Angeles windows and doors in your house. If you'd like to have them installed for your industrial property or storefront, you stand to save even more money, depending on your typical energy usage. It could be well worth it to change to having these energy efficient products on your building, even if you are not concerned with the cost of your bills. Think about the benefits you would experience if you could have these high quality, beautifully designed fixtures for your very own. If you would like to ask some questions before you take the leap to order, feel free to request a quote online or call and speak to an Intex customer service agent right away. If you would like to save a great deal of money on your energy bills, it may be time to think about having Energy Saving Los Angeles doors and windows put into your house. It will not only save you money, but you will stay comfortable indoors no matter the climate. These energy efficient features are crafted using the highest standards that are compliant with ENERGY STAR guidelines. If this is something that is important to you, search through the Intex Windows & Doors website to see what you can find that is within your budget and fits the style of your home. We also sell these products for use in commercial buildings, such as Store Front Commercial Windows And Doors In Los Angeles. If you are uncertain about anything you see and have questions, you always are welcome to give us a call to get some clarification. We make it easy for you to shop for and order these products, so you don’t have to run around from store to store and worry about the quality and durability. It is ideal to do your research prior to ordering anything that is crucial to your building, such as doors and windows. You can find out just why Intex is popular in the Los Angeles area by reading the testimonials by our satisfied customers. You also can call and talk to a representative so that you can put your mind at ease. Find out what you need to do in order to have new Store Front Windows And Doors In Los Angeles put in. We do offer installation services, which is the best route for you to take since the process must be approved and meet all guidelines for the city. Have us visit and conduct a free in-home estimate for you so that we can get the process started for your Energy Saving Los Angeles products.